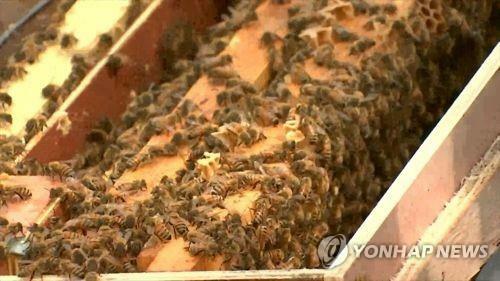 Chungnam-do to revitalize "Bee-farming industry"
(HONGSEONG=Yonhap News) Chungnam-do announced that it will make a forest of bee trees, up to the area of 3,179 ha, to reinvigorate the bee-framing industry by investing KRW 28 billion until 2022. The acacia trees, accounting for more than 70 percent of domestic honey production, have shrank in terms of the forest area due to declines in population and reduced flowering period. The province, as a first move, is to create a pilot forest, plating hovenia dulcis, acacia trees, and lacquer trees in the area of 35 ha in doyourim, Seongju-myeon, Boryeong-si this year. It will expand the area gradually, by 200 ha every year until 2022. A city official said, "We aims the diversification of bee trees, by planting more hovenia dulcis and lacquer trees with quality honey," adding that "it will contribute to the increased income of bee-farming families and wood production".